How many servers would the HOTW developers like to see running this? [RS] How many servers would the HOTW developers like to see running this? My assumption is that the answer would be: "As many as possible." Great. How would this best be accomplished to the satisfaction of all; particularly those servers who are already running this stellar mod? How many of the following suggestions might be reasonable? 1. Simply update SWS and expect server operators to cheerfully watch their servers crash with no update? 2. Give the server operator a "heads up" by posting a link for the server files? 3. Oh, the client files are interchangeable with the server files? Great! How many files and subdirectories are involved? 4. Just assume every server operator is clairvoyant and let him spend a few days hammering the whole mess out. 5. When the WF maps begin to "blow up," the server operator should: Giggle? Punt? Plead for help? Add any others you feel are helpful. I love you guys, and I'm trying to keep a sense of humor here. Last edited by G_Sajer; 06-06-2016, 02:37 PM. Oh yeah. You. Forgot crucible runs it/existed. Not exactly a heroes of the west server though. I did notify server operators who run it 24/7 so don't you worry about that. I think TWI updated the RO2 Wiki way of updating heroes of the west servers. I'm on mobile so its difficiult to get the link I had you see. In all fairness, I'll point out that Crucible does run HOTW 24/7, along with all of the known compatible maps. TWI gave me opportunity to take care of this server with the understanding that it would support ALL custom maps, not just a chosen few. I've supported HOTW from the beginning. All I'm asking for is the same level of communication other server operators are recieving. That's not an unreasonable request. You're right it's not an unreasonable request. It was just 2am when I sent out the notifications. And you didn't pop into my head as a HotW server operator at the time. Even though I literally mentioned you to someone else around that time lol. And by 24/7 I meant ONLY the mod. I reviewed the TWI wiki instructions for updating HOTW software in the server. Sadly, TWI has never granted me the level of privileges necessary to update the server engine directly. I used to be able to do this at when I was responsible for a clan server, but those days are past. This is not your problem, but my cross to bear. I am confident, however, that I could get the patch working on Crucible with a simple list of the required files and the sub-directories they go into. Meantime, I have outlined the dilemma with a member of the TWI staff. I'll follow their instructions. Honestly, the best thing you can do, Sajer, is to keep in close touch with Lemonator. He's the go-to guy for HotW in keeping server op's in the loop and can help you with just about any problem concerning HotW. Also, it's best to communicate over Steam instead of the forums given how quickly things can change (last-minute, even). Although, he's pretty damn active everywhere, aren't you Lemon? As for how many servers are appropriate for the community, I wouldn't expect there to be any more than a few at best to satisfy demand. 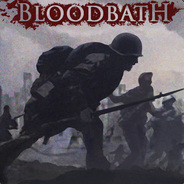 Bloodbath anticipated there'd be a surge in interest for when the patch would roll out and made sure to have two servers up by launch, each of which stayed full for 10-12 hours. But, personally, I believe it's overkill to have any more than one HotW server in a region. We expect the second HotW server to die down soon after the initial hype and interest fades, and even more so when [40-1] finally gets their HotW server updated to cater to Europeans (which account for the bulk of the playerbase for RS/RO2). I think when HotW went live on the Steam store back in March there were a lot of new HotW servers popping up, all interested in vying for the opportunity to be a provider and seeing how things would turn out. I think maybe as many as 10? But at the end of the day, once the initial hype and interest settled down to normal levels, there were only ever two servers consistently full (with an occasional bout with either the Aussie or Banzai servers). The player base in this game is pretty small as it is so the amount of servers available right now seems sufficient to fulfill demand. Last edited by BloodMalice; 06-07-2016, 01:58 AM. I think we're working at cross purposes here. As I've stated time and again, my only directive in the operation of Crucible is to support any and all custom maps. I'd like to support WF maps, simply because they are, after all, custom maps. I have no particular investment in HOTW as a mod except that it is required to run WF maps. I don't wish to compete with dedicated mod servers. Not my job. The only problem I have at the moment is that I cannot apply the new HOTW mod with the information currently provided. I do not have access directly to server engine software for the automatic application of it. But a simple list of files and their subdirectories that I could refer to would enable me to apply the mod and end the problem. For right now, that's the only reason I'm not already running the maps in complete tranquility. Now if some folks feel I shouldn't run the maps at all because a conflict of interest is percieved, then fine. Say so. And I'll just continue to run and feature those that will work. I'd really like to put the whole matter to bed one way or the other. Waddya say? Last edited by G_Sajer; 06-07-2016, 12:45 PM. Now with regard to updating the redirect. I've gotten numerous requests to do so. And I've cooperated with those requests. If there is something folks want me to place in there, fine Then make it available with a link in this forum or send me a link to a drop box. I've done so before for various items. But I can't read minds. Now I want to make something else clear: BOTH the redirect and Crucible belong to TWI. I'm just the janitor. So far, I have ONE set of instructions: support any and all functional custom maps and make them available to the public and keep them updated. Whatever it takes to make that work I will engage in to whatever extent I can. Beyond that, anything the TWI staff wishes me to put in those servers is THEIR call. I'll do it. If anybody wants something featured that I cannot provide within my task responsibilities, PLEASE, take it to TWI, it's THEIR stuff. IF they want it to happen, it will.